Aug 3, 2018 – Temple, TX – Amy’s Attic Self Storage will hold their next bi-annual crafts festival on Saturday, October 13 benefiting Young Life Ministries. This event is scheduled from 10:00am to 2:00pm. 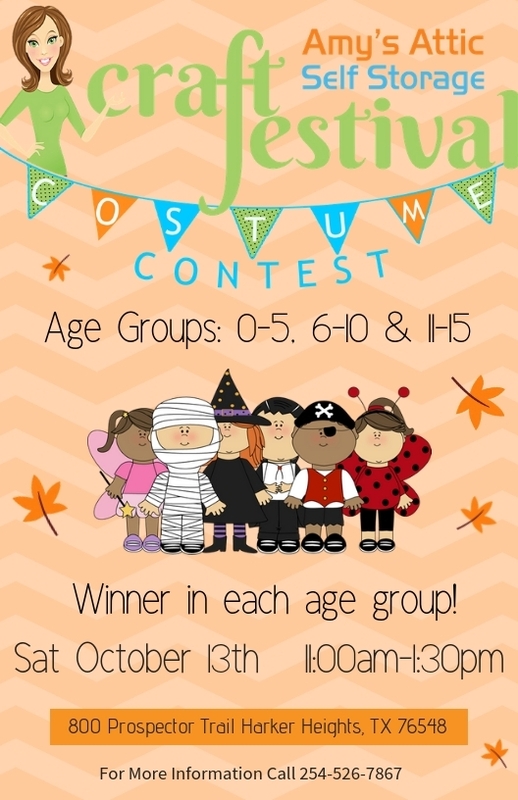 With a goal of contributing $2,000 this family friendly event will offer everything from food to bounce houses for children to crafts shopping for adults as well as a raffle for gift baskets. 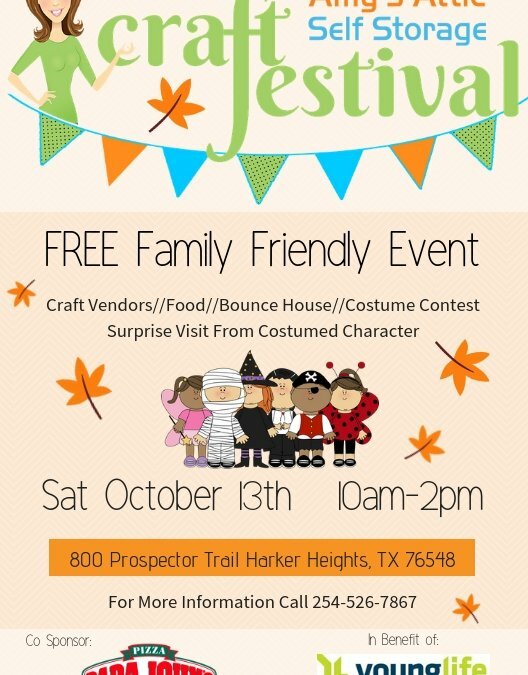 This is a free event to be held at Amy’s Attic Self Storage’s 800 Prospector Trail Harker Heights location. For more information and application interested crafters and vendors as well as businesses looking to donate to the gift baskets should contact Mrs. Chandra Howard by calling (254) 526-7867 or via email at CraftFestival@AmysAtticSS.com. Amy’s Attic Self Storage is locally owned and one of the fastest growing privately held self-storage portfolios in Texas. With state of the art facilities Amy’s Attic provides traditional fixed mini storage, covered parking and outdoor storage. The Harker Heights location is also equipped with a meeting room for rent. Amy’s Attic Self Storage provides convenient ‘rent anytime’ kiosks, rent-anytime online features, ATMs and full-service trucks for rent at various locations. Visit www.amysatticss.com or call (855) 426-9728 to learn more about Amy’s Attic Self Storage, its storage offerings, available meeting space, Amy in the Community or Amy in Education.